Sparked by fears that the BOJ took a step toward the monetary exit by reducing the amount of long-term bonds it is buying, there is an apparent scramble to cover previously sold yen positions. Th dollar finished last week near JPY113.00. It fell to about JPY112.35 yesterday, near the 50% retracement of the greenback's bounce from the late-November lows near JPY110.85. 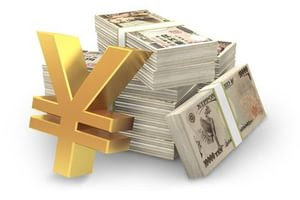 The yen was bought in Asia earlier today and again in Europe. It has been pushed through JPY112, which has held over the past month, which also corresponds with a 61.8% retracement objective. The dollar broke through the 200-day moving average (~JPY111.70) in Europe. The next obvious technical area is the low from last November (~JPY110.85). We think that the scaling back of long-dated JGB purchases are not the signal of a new policy initiative (tapering) but the consequence of the shift from QQE to yield curve management. However, we recognize that it has provided the spark for position adjustments. The bout of position adjustment was also sparked by the correction in the euro. The euro-yen cross seemed to by a common expression of conventional wisdom that the ECB was ahead of the BOJ and would remain so. The cross saw bearish price action before last weekend, warning of a near-term top. The euro has fell from JPY136 at the end of last week to JPY133.35 today. The break of JPY133.80 today risks triggering a move toward JPY132, the mid-December low. Counter-intuitively, the yen's surge has coincided with a backing up of US 10-year yields. The yield moved above 2.50% yesterday and is consolidating so far today. The rise in yields may have been spurred by the continuing rally in oil prices. The combination OPEC restraint, the dip in the US rig count, the decline in US inventories, unusually cold weather in large parts of the US, and geopolitical developments helped lift crude prices to three-three-year highs. After the markets closed yesterday, API reported an 11.2 mln barrel drop in US oil inventories, which was almost three-times more than anticipated. It is the largest drop for this time of year in nearly two decades and stocks in Cushing fell below 50 mln barrels for the first time in three years. The EIA data due out today is regarded as more authoritative. The failure to confirm the API figures could spur some profit-taking. Our point is that interest rates most often provide the better signal of the dollar-yen's underlying movement than market positioning. The US 10-year premium is near 2.50%, the most since last March. The increased US rate premium coupled with the short squeeze in the yen, coupled with Japan's growing current account surplus, we suspect will create a new attractive opportunity for yen-based investors. More broadly, the US dollar had begun the week on an uptick and extended into yesterday's activity. Today, the greenback is softer against all the major currencies, but sterling. The UK's November industrial output was in line with expectations (0.4% month-over-month) while the October upward revision (0.2% from zero) lifted the year-over-year rate more than expected (2.5% vs median forecast on the Bloomberg survey of 1.8%). Construction output rose 0.4%, and while this was half the gain that was expected, the October series revisions made up the difference. The disappointment came on the trade. The trade deficit deteriorated in contrast to economists' expectations for improvement. The GBP2.8 bln deficit was nearly twice the median expectation and follows a sharp revision in the October deficit to GBP2.2 bln from GBP1.4 bln. Sterling briefly was sold through the recent shelf near $1.35, but quickly snapped back as the dollar weakened across the board. It made new session highs ( above $1.3550) and could move closer to the top of the recent range (~$1.36). China announced yesterday an adjustment to how the reference rate is set. It was set stronger for the dollar today, but the yuan traded firmer. It gained about 0.3% against the dollar, which is the most since the end of last year. China reported softer producer prices (4.9% vs. 5.8% in November) and a smaller than expected uptick in CPI (1.8% vs. 1.7% in November and expectations for a 1.9% pace). Helped by property developers and banks, the Shanghai Composite eked out a modest gain (0.3%) while other regional markets were lower. The notable exception is Hong Kong. The Hang Send extended its rally to a 12th session, the longest more than 50 years. European shares are also struggling today. The Dow Jones Stoxx 600 is off nearly 0.5%, putting its five-day advancing streak at risk. Note that there will be a delay in the implementation of the MiFID II rules on dark pool trading limits. The new target is March. In addition to the EIA energy data, the US reports import prices and they may off some insight into tomorrow's PPI figures. Wholesale inventories for November will be reported and they help economists fine tune forecasts for Q4 GDP. The data highlight of the are the retail sales and CPI report on Friday. Three Fed Presidents, Evans, Kaplan and Bullard speak today. The market is discounting nearly an 82% chance of a Fed hike in March. This is just below the market's discounting of a Bank of Canada hike next week (~87%).